I was lucky enough to hear this album on my way home from Canada, on the plane with the XM CD-library on Air Canada (I love their flights). 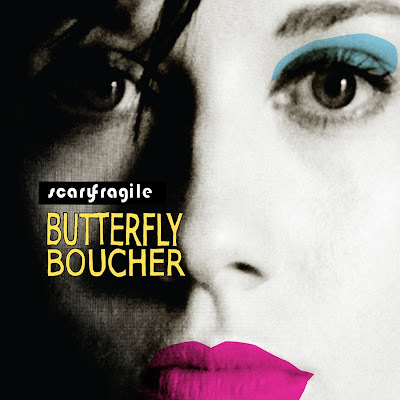 I was so happy to get bored enough (by the onboard movie selection) to discover this gem of a singer called Butterfly Boucher and her second album release "Scary Fragile" on June 2nd 2009. The first song on the album really didn't win me over at first hear (Bright Red), but when I got to the third song called "For the Love of Love", this lovely Australian tore at my heart strings. Such a brilliant song writer - and the album is pretty solid throughout. Definitely one to check out and I guarantee you'll love it! Check out my personal favourite song with a fan video below! Every happiness in the New Year Elle also wanted to let you know I have an award for you over at my blog. If your blog is award free or you choose not to participate, no worries - just my way of saying I enjoy your blog! Hello Elle. I fell down a rabbit hole at Simone's and ended up...here! Thanks for the intro, I like the song and the tom tom beat. 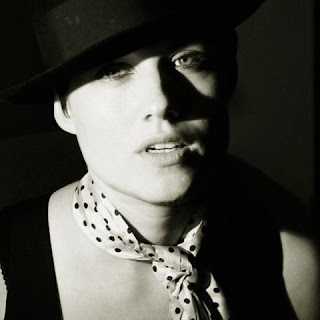 It's sort of Sinead O'Connor meets Dido, yeah? Wow! Thank you sososo much Simone! I love the award and the picture is very representative of me. I love it so much! :D Hope you had a wonderful new year! I can hear Sinead and Dido now for sure! :D You should check out the whole album if you can. It's awesome! Hope you're having a wonderful new year as well and welcome!